This is a PREORDER RESERVATION and it is expected in mid-2019. 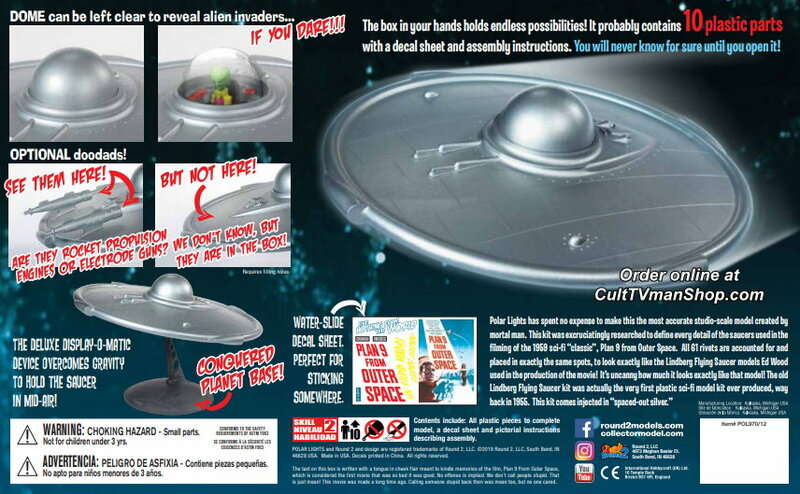 Please see the Preorder instructions below..
Polar Lights is reissuing this classic flying saucer kit, originally produced by Lindberg in 1954. 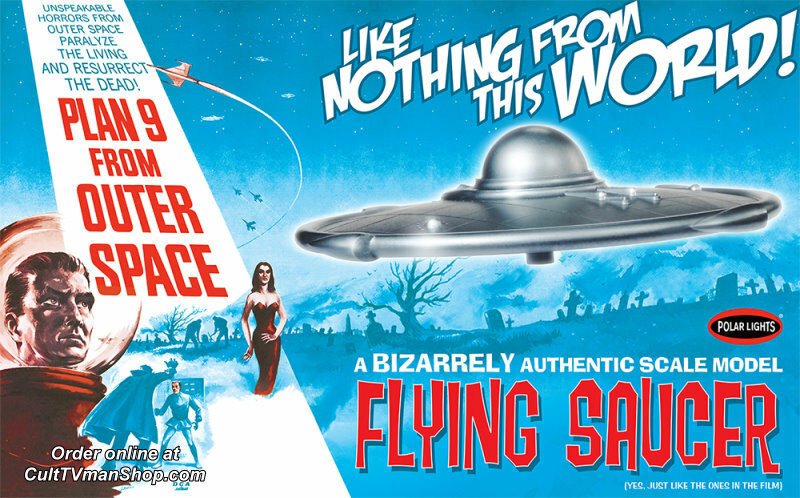 This classic kit was used by Ed Wood for the flying saucers in Plan 9 from Outer Space. 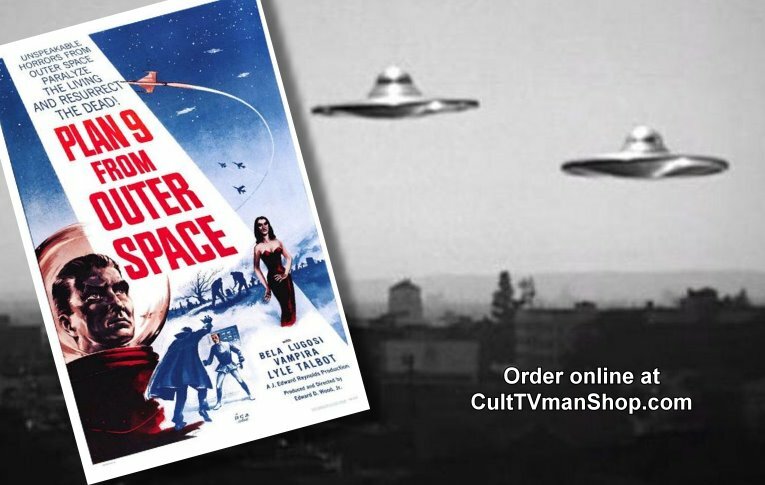 Image shows movie poster and screenshot from the film.